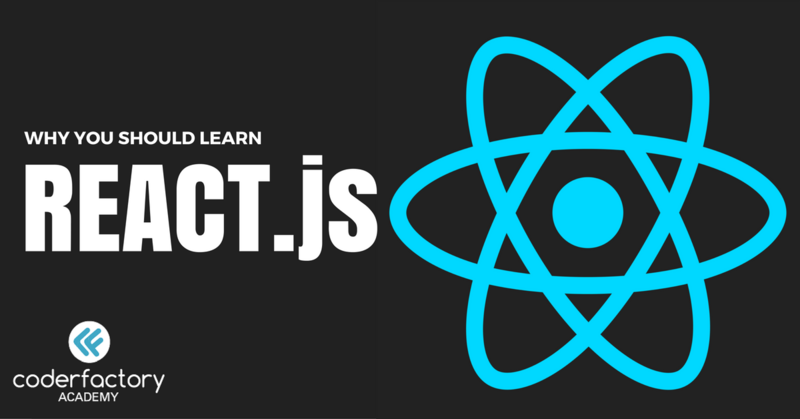 If you’re a front-end developer who mostly knows HTML and CSS, or a backend developer who wants to move into front-end work, ReactJS is one of the best new technologies you could learn. Not to mention, there are many lucrative employment opportunities for React developers, as it’s currently the fastest growing front-end technology in Australia. It’s a better model for development — the best one so far — and rapidly exploding in popularity. ReactJS has also set a new standard for web applications. This makes it an ideal framework for current developers to learn to upskill fast. However, it’s actually not a framework, it’s a library. These reusable components are the core of any React app. This doesn’t only mean UI elements. You can create a component for each type of data that you receive from the database and render them whenever the need arises. This clear parallel to object-oriented programming makes it very digestible to learn. While mixing languages languages can be a shock to the system, tying functionality directly to markup and packaging it in a portable, self-contained “component” is much simpler in the long run. ReactJS is also cross-platform, with the introduction of React Native. React Native doesn’t create a hybrid app. It actually creates a real mobile app, indistinguishable from an app built in Objective-C or Java or Swift. React Native uses the same fundamental UI building blocks as regular iOS and Android apps. You can render React on the server. This makes it really fast and creates search engine friendly pages without the fuss of PhantomJS. A fast learner, Vaibhav Namburi studied Mechanical Engineering at UNSW, and then mastered coding at Hack Reactor. With experience in a number of rapid learning styles, Vaibhav knows what works when it takes to learning the right things quickly. While studying Mechanical Engineering at UNSW, Vaibhav was consistently involved in robotics and software work, and found out he liked that better. He moved into software initially to be more involved with the IoT space, and then found out web is just as cool, and stayed there. His philosophy is that “understanding the core concepts and basics is of paramount importance”. Fast forward to today: Vaibhav is currently seconded to William Hill, where he is working to redesign the entire front end of the website using React and Redux with a team of 7 developers. In his role as a Senior Software Engineer, part of his job is to train this team of developers and testers. he has plenty of experience teaching. An example of teaching he’s done recently is in levelling up the testers. This week in our Sydney bootcamp, we were fortunate enough to host the founders of Vylar Ptd Ltd, Jacky Koh and Daniel Vassilev. Jacky and Daniel met in school, began working together, and have been business partners for the last several years. Did we mention they’ve recently begun uni? Yeah… Anyway, they’re responsible for building a viral app you might have heard of: PokewhereGO, a live radar for PokemonGO. The craziest part? They built it in about four hours with React Native and Firebase before throwing it into the app store at the peak of the PokemonGO craze. Over night, they gained 200k users. Over five days, they worked with a Senior React developer to build it into a fully featured app that could handle 40,000 active concurrent users. At one stage, they needed 40 Digital Ocean instances just to handle testing. They peaked at 4 million downloads and 40,000 active concurrent users, an average of seven uses per user and 10 minute sessions. Currently they have a bit under 100k followers on Twitter, their main channel for customer support, which they emphasised as the most invaluable secret of launching a successful app. These are the kinds of possibilities that will open up to you if you have solid ideas, and the React coding skills to develop and launch them. Coder Factory Academy: Meet Australia’s first and only accredited fast-track coding bootcamp! Our immersive course helps students acquire in-demand skills through hands-on, project-based training by industry experts over 23 weeks. Become an employable full-stack developer in only six months. Now enrolling domestic & international students in Sydney & Melbourne! Study now, pay later!